Remote session as described below. Please email your issue to Rea and she will be in touch on the time frame this will occur, along with any other instructions. After purchase, notify Rea of your issue that you wish healing and to schedule the time that you will receive treatment. The treatment affects each person individually, although it always acts where the receiver needs it most. Rea will contact you to discuss your after-affects. After your session takes place, the work stays with you for about 3 days, continually working on and transmuting the condition(s). In other words, the treatment is not over when Rea's session with you is over. She talks with you after the session and a few days later in order to monitor your healing. One of the affects you may notice after a session is a glow about you that other people may remark on. Your body is in the process of healing over a period of days. At the very least you will feel much better. 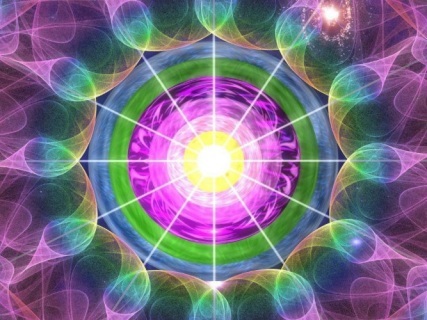 * Rea works with the assistance of powerful ascended masters (including Jesus, Germain, Dr. Ushui, Dwal Khul, Vywamus, El Morya and archangel Raphael to name a few). The Violet Flame is a cool flame and does not burn you. The Violet Flame cleanses all that needs transmutation within you on all levels. Try to take a nap after a treatment as much is being cleared out while you nap. Healing is being done on many levels and can go on for several days after a treatment. You will need to drink a big glass of water (or more). It is appreciated if you will call Rea and inform her of your progress (or not) so she will know if additional sessions are needed. People have been healed instantly and some require multiple sessions. Treatment is never done on anyone without their free will request due to karmic repurcussions. Treatment is not to be done without an energy exchange (i.e., money or service trade) due to karmic repurcussions. The best thank-you is a one or two line testimonial via email to post on this site or a contribution to an animal charity. Often used on its own, and always used with Chakra alignment and energy healing sessions, Color Therapy is the science of using color waves and vibrations in healing treatments as well as consciousness raising. My unique style of color therapy brings healing to your issue via transmutation of all toxic and negative energies. All residues become cleansed and then replaced with new, positive energy. It is intense, therapeutic, and brings renewal and reconnection to your higher self. Please contact me if you have any questions and to schedule a session send an email. Would you like to get rid of your bad karma, help the planet, look better and feel better? Discover or re-discover the violet flame, with a fresh, new perspective. The violet flame will revitalize you, and bring youthfulness, buoyancy and joy into your life. It transmutes bad karma so you can live a better life, accomplish your spiritual purpose on earth and become one with God. The violet flame is Saint Germain's gift to you. Start creating miracles today. Your commitment--fifteen minutes a day. Discover the benefits, help the planet, and live a good life. It's not too late. Please see the Prayer Request Page for more on the Violet Flame.